[wptabcontent]If a creditor listed in the debtor’s schedule, attempts to collect a scheduled debt, the debtor should inform the creditor a bankruptcy case has been filed and which prohibits all collection efforts. If an attorney represents the debtor, the debtor should give the attorney’s name and telephone number to the creditor. If the debtor is not represented by an attorney, the debtor should give the creditor additional information about the case – the date of filing. The debtor should consult with an attorney to consider further action. Homestead, subject to purchase money, improvements, tax lien and consisting of a) Not more than ten urban acres: or b) Not more than 100 rural acres (200 acres for a family). c) Not more than $125,000.00 in equity that was acquired within 1215 days prior to the filing of bankruptcy. Personal Property: a) Without limit 1) All current wages 2) IRA’s and most retirement plans. 3) Prescribed health aids b) The following not to exceed $30,000.00 ($60,000.00 for a family) 1) Unpaid commission of $7,500.00 for a single person/$15,000.00 for a family. 2) Home furnishings. 3) Provisions for consumption. 4) Tools of the trade including boats and motor vehicles. 5) Clothing. 6) Jewelry up to $7,500.00 ($15,000.00 for a family). 7) Two firearms. 8) Athletic and Sporting equipment (including bicycles). 9) Motor vehicles, one for each licensed driver and person who must rely on a licensed driver for transportation. 10) Certain livestock. 11) Household pets. 12) Present value of any Life Insurance Policy. [wptabcontent]Always pay your necessities first. Usually this means food and essential medical expenses. Next pay your housing-related bills. Keep up your mortgage or rent payments if at all possible. If you own your home, real estate taxes and insurance must also be paid unless they are included in the monthly mortgage payment. Similarly, any condo fees or mobile home lot payments should be considered a high priority. Failure to pay these debts can lead to the loss of your home. Pay what you must to keep essential utility service. While this may not always require full payment, whatever payments are necessary should be made if at all possible. Working hard to keep your house or apartment makes little sense if it is not livable because you have no utilities. Pay car loans or leases next if you really need your car. You will usually make your car loan or lease payments next after food, housing costs, medical expenses, utilities and clothing. You may even want to pay for the car first if the car is essential to holding onto your job. If you do keep the car, stay current on your insurance payments too. Otherwise the creditor may buy at your expense, even more costly insurance that gives you much less protection. 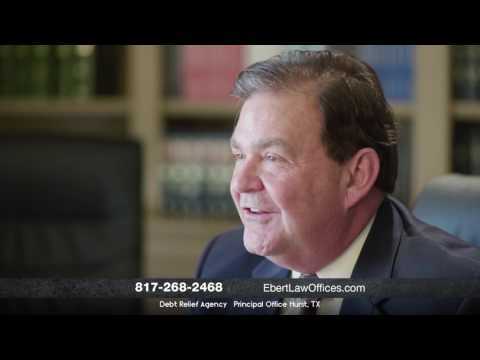 In Texas it is illegal not to have automobile liability coverage. If you can do without your car or one of your cars, you not only save on car payments, but also on gasoline, repairs, insurance and the like. You must pay your child support debts. Income tax debts are a high priority. You must pay your current year’s income taxes that are not automatically deducted from your wages. You must also file your tax returns timely, even if you cannot afford to pay any balance due. If you are unable to pay required income tax obligations, you may consider filing a chapter 13 bankruptcy. In a chapter 13, interest and penalty cannot accrue during the repayment time. Loans without collateral are a very low priority. Most credit card debts, attorney, doctor and hospital bills, and other debts to professionals, open accounts with merchants, and similar debts are a low priority. Loans with only household goods as collateral are a very low priority. Sometimes a creditor requires you to put up some of your household goods up as collateral on a loan. You should generally treat this loan the same as an unsecured debt, that is, as a low priority. Creditors rarely seize household goods because they have little market value, it is hard to seize them without court process, and it is time consuming and expensive to use a court process to seize them. Do not move a debt up in priority because the Creditor threatens to sue. Many threats to sue are not carried out. Even if the creditor does sue, it will take a while for the collector to be able to reach your property, and much of your property may be exempt from seizure. Additionally, many debt collectors violate federal law in the manner by which they attempt to collect this obligation. If a violation occurs, you may be entitled to receive damages from the debt collector. If you believe a violation has occurred, talk to one of our attorneys about possible alternatives. Do not pay when you gave good legal defenses to repayment. Some examples of legal defenses are that goods purchased were defective, or that the creditor is asking for more money than it is entitled to. If you have a legal defense, you should obtain legal advice to determine whether your defense will succeed. In evaluating these options, remember that it is especially dangerous to withhold mortgage or rent payments without legal advice. creditor can enforce that judgment by asking the court to seize certain of your property, wages, and back accounts. Nevertheless, how serious a threat this really is will depend, according to Texas law, on the value of your property and your income. It may be that all your property and wages are protected under state law, and you should pay this debt only after more pressing obligations. Student loans are a medium priority debt. Student loans should generally be paid ahead of low priority debts, but after top priority debts. Most delinquent student loans are backed by the United States and federal law provides special collection remedies against you, which other creditors do not, such as seizure of your tax refund and denying you new student loans and grants. Debt collection efforts should never move up a debts priority. Be polite to the collector, but make your own choices about which debts to pay based on what is best for your family. Debt collectors are unlikely to give you good advice. Debtor collectors may be most aggressive to get you to pay debts that you should actually pay last. You can stop debt collection contacts and have legal remedies to deal with collection harassment. Threats to ruin your credit record should never move up a debt’s priority. In many cases, when a collector threatens to report your delinquency to a bureau, the creditor has already provided the credit bureau with the exact status of the account. And if the creditor has not done so, a collector hired by the creditor is very unlikely to do so. In fact, your mortgage lender, your car creditor, and other big creditors are much more likely to report your delinquency (without any threats) than is a debt collector that threatens you about your credit. Refinancing is rarely the answer.